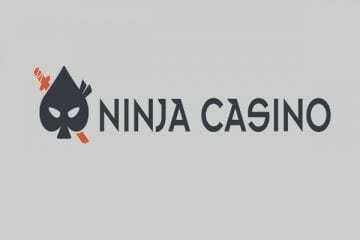 Energy Casino is a memorable, all-in-one gambling portal. One which can deliver sports betting, virtual sports and live casino games alongside its more traditional online casino gaming offerings. The site debuting in 2013 and offers gameplay in a variety of different languages. These include English, German, Hungarian, Norwegian, Polish. And Russian, Swedish, Turkish and Vietnamese. Read independent Energy Casino review below. Players at the mobile-friendly Energy Casino site will be able to claim a predictable but worthwhile welcome bonus. After they register as a newbie. This offer consists of a 100% match on the very first deposit you make. The offer can double your deposit to the tune of up to £200, providing you with an excellent start to life at Energy Casino. Why Play at Energy Casino Online? Energy Casino features a variety of games from many different software providers. As mentioned, it doesn’t just offer casino games, but also live dealer games, virtual sports and offers the capacity for players to place sports bets, too. Going back to those software providers for just a moment, though. There are plenty of those offering games for you to choose from. Expect to find games from the likes of BF Games, Greentube, Microgaming, Net Entertainment and Novomatic at Energy Casino. 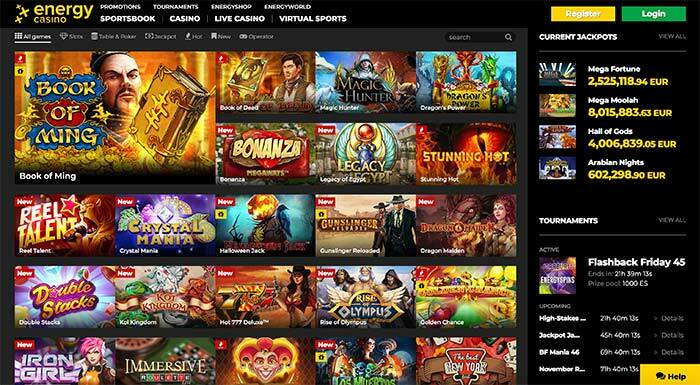 Other developers who are known to offer games include Wazdan and Play ‘n Go, GamoMat, Bally Wulff, Pragmatic Play and Evolution Gaming, the latter providing live dealer casino games at the site. The types of games you can find at the casino include all manner of top titles. There are more traditional online casino games such as baccarat, blackjack and roulette. As well as table poker games, instant win titles, video poker and live dealer games aplenty. Of course, most of the game collection at Energy Casino consists of online slots. And a few bingo games. Slots you can expect to find include Book of Ra and Book of Ra Deluxe, Wicked Tales: Dark Red, Rise of Olympus, Iron Girl, Double Stacks, Gunslinger: Reloaded, Bonanza Megaways, Los Muertos, Almighty Reels: Realm of Poseidon, Jumanji, Berryburst Max, Wild Bazaar, House of Doom, Reel Talent and many more. 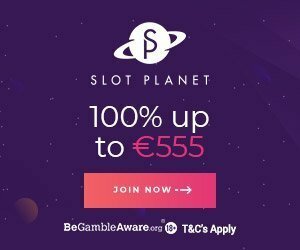 Lover of big progressive games can find life-changing sums of cash to be won in the Mega Moolah, Mega Fortune, Hall of Gods, Divine Fortune, Arabian Nights and Mega Joker slots, amongst others slots. Players do not need to download any software to play at Energy Casino. The site has been designed in a way that its instant play interface runs smoothly whatever device you happen to be playing on, be it Android or iOS-powered smartphones and tablets, or Window-based computers and laptops. Most of the games you will find at Energy Casino are also mobile-friendly, including a good number of Evolution Gaming’s live casino titles. Some, such as the NetEnt Touch range of games, are specifically designed to be compatible with mobile devices. Other good casinos are Genesis Casino and Sloty. This is an online casino which has won plenty of awards for its gaming operations. The casino has been on the receiving end on Malta’s iGaming Excellence Awards, SBC Awards, and also Global Gaming Awards. If that doesn’t scream secure and safe to you, the fact that the online casino carries gambling licenses issued out of Malta, the United Kingdom and Gibraltar should certainly do. 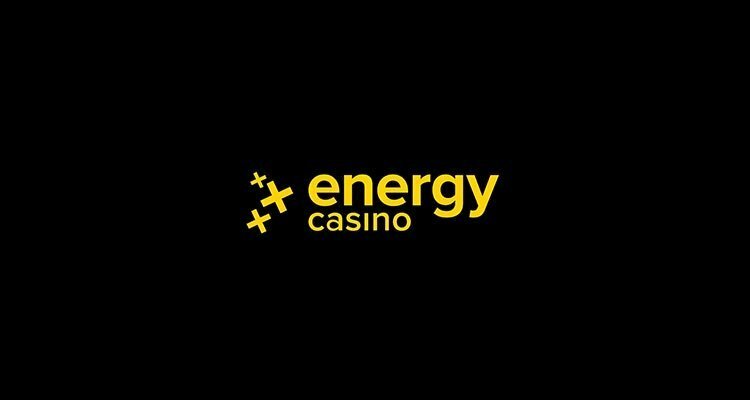 Energy Casino’s FAQ (frequently asked questions) guide should be more than adequate to provide players with all the help and assistance they may need when playing at the site. However, if you favour a more one-on-one approach to obtaining help, then the customer support team at the site are on hand. You can reach Energy Casino’s support team either via live chat, e-form, e-mail or a telephone line. The latter is also toll-free. Who owns Energy Casino? The casino is operated by Probe Investments Limited. A wealth of banking options are accepted at Energy Casino. The euro is the currency of choice, and players can use it to deposit into their accounts. With the VISA, MasterCard, Skrill, Neteller, EPS, Qiwi, Yandex, Paysafecard, Zimpler, Euteller, Trustly, Moneta.ru, Klarna, Entropay, MB (MultiBanco), or EcoPayz deposit methods. Deposits are free of charge at this casino, and most offer instant transaction times. How long does a withdrawal take? Withdrawals cannot be made using all the options listed above. However, players can pick up speedy withdrawals with e-wallets such as Skrill and Neteller within less than 24 hours. Withdrawing via options such as credit cards and bank transfers take a lot longer. Often between 1-5 business days depending on the method chose. Withdrawals are free of charge at Energy Casino but are capped at £5,000 per day. This is a modest and fair withdrawal cap in relation to rival casino sites. Choosing to throw down and play with Energy Casino will see you able to snap up a casino welcome bonus offer. There is a separate welcome bonus available for sportsbook players. The casino welcome bonus comes in at a 100% match, and it can double your very first deposit. As much as £200 can be claimed with this initial welcome bonus offer. When players make a second deposit at the site, they can claim a further deposit bonus. This time, the bonus is worth a smaller 50% match but is valid up to £200. Terms and conditions, as well as wagering requirements, apply to both the first and second deposit bonuses. Once you are a member of Energy Casino, a few other bonuses and promotions will be available to you. One of the ones you may wish to keep an eye out for is the Energy Chests offer. This is a comp points program, a VIP club if you will. Players can unlock Energy Chests by playing games at the site, and inside each chest are bonuses and promotions, free spins, cash deposit deals and more for you to take advantage of. The casino also carries a range of slot-based offers, reload bonuses, tournaments and competitions, table games, and the sports-based promos and bonuses we mentioned a moment ago. There is plenty to keep an eye out for in the promotions and bonuses department when you choose to sign up and play with Energy Casino.